No, that’s not a typo – seitan is an actual thing. It’s very well-known in certain circles (that makes it sound like being vegan is an exclusive club or something, but you know what I mean), but I’d say seitan is still fairly unheard of amongst the general population. 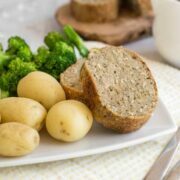 If you’re not familiar, seitan is a meaty substance made from gluten, and it works really well to recreate dishes that usually contain meat – hence, a homemade seitan roast! I must admit, I’ve had a bag of vital wheat gluten sat in my cupboard for a few months now, untouched. I bought it online (it’s hard to find in normal supermarkets, but you can pick it up on Amazon UK here or Amazon US here) with a plan to make homemade seitan, but found myself rather intimidated by the prospect. To be fair, ‘vital wheat gluten’ barely even sounds like real food… so, in the cupboard it sat. Fresh sage –> sage and onion stuffing –> roast dinners! –> I should make something for a vegetarian roast dinner –> oh god, I’m going to have to face my fear and try making seitan. In the end, this homemade seitan roast was actually much easier to make than I expected it to be! I swear every homemade seitan recipe I’ve ever looked at in the past has been super long, with dozens of steps, and that always put me off. But, in true Becca fashion, I cut a few corners and still ended up with a perfectly delicious seitan roast. I’ll definitely be experimenting more with seitan, but for now I’m pretty happy with this recipe! The recipe is loosely based around this one from Post Punk Kitchen. I nabbed the trick of adding beans to the seitan for a nicer texture. I don’t have much to compare it to… but it was nice! Since the vital wheat gluten has basically zero flavour on its own, it’s also really (really!) important to add plenty of flavour to your seitan, as well as salt! Don’t skimp on the salt. Add a reasonable amount, then add another pinch. The end result is a meaty, chewy roast with a crispy crust and that lovely sage and onion flavour throughout. 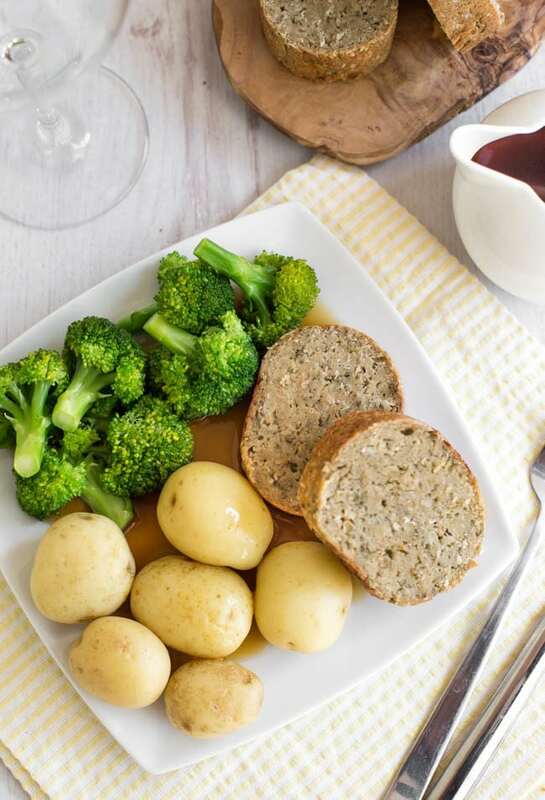 Serve your homemade seitan roast with some potatoes and veggies, not forgetting lashings of gravy, and you’re all set for a perfect vegan Sunday lunch. Add the drained cannellini beans to a food processor, along with the garlic, sage, and onion. Blitz to form a chunky paste. In a large bowl, combine the bean mixture with the dried oregano, vital wheat gluten, vegetable stock, and a good pinch of salt and pepper. Mix well to form a dough (don't be worried if it doesn't look too appetising at this stage!). Knead the dough for a few minutes - this will help avoid a tough seitan. Lightly grease a large piece of kitchen foil, and add the seitan dough. Shape to form a rough sausage, then roll tightly in the foil, and scrunch the ends. Place the foil-wrapped seitan roast on a baking tray (make sure to pick it up from underneath so you don't tear the foil), and roast for around 1 hour 20 minutes, until firm. Peel back the foil, and slice the seitan roast with a serrated knife. Serve warm. 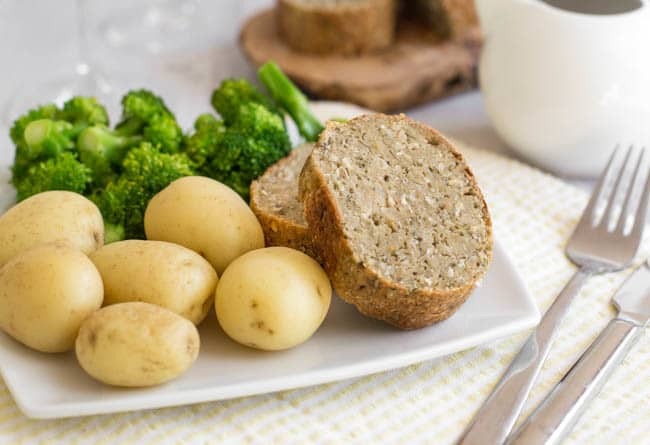 Some perfect roast potatoes to go alongside your homemade seitan are a must! I just made this and put it in the oven. My mixture is really wet. Is it supposed to be that way! I kneaded it for about 4-5 minutes. Ieven added some extra vwg. I have only made seitan twice before, but both times had a stiff mixture. Have I done something wrong? Sorry Becky, only just seen this – how did it turn out in the end? I’ve heard of Field Roast! Didn’t realise it was seitan though. 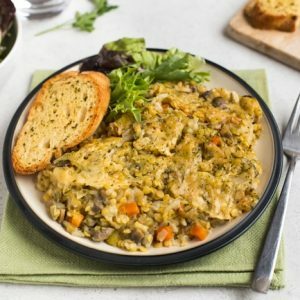 Mushroom gravy would be absolutely perfect with this, and I love the idea of serving it in a sandwich too! This is a new one on me Becca, but as we’re huge fans of the veggie roast dinner I think I might have to give it a whirl. 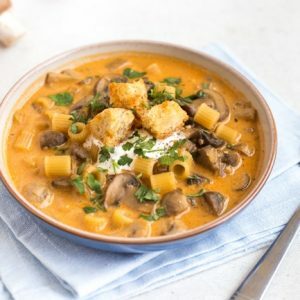 I’m thinking my onion gravy would be blinding over the top of this with some roasted sweet potatoes, vegetables, bread sauce and yorkshire puddings – oof! I’ve heard of seitan but never tried it. I think my mum may have made this, she’s a pescetarian and eats veggie a lot of the time. Good to know you have created a less complicated recipe. My cousin and his girlfriend are vegan and I am always at a loss as to what to serve them for dinner and I spend hours researching to find just the right ingredients for their diet. This looks like something I can easily put together for his next visit. wow! This dish looks so beautiful and such lovely images! 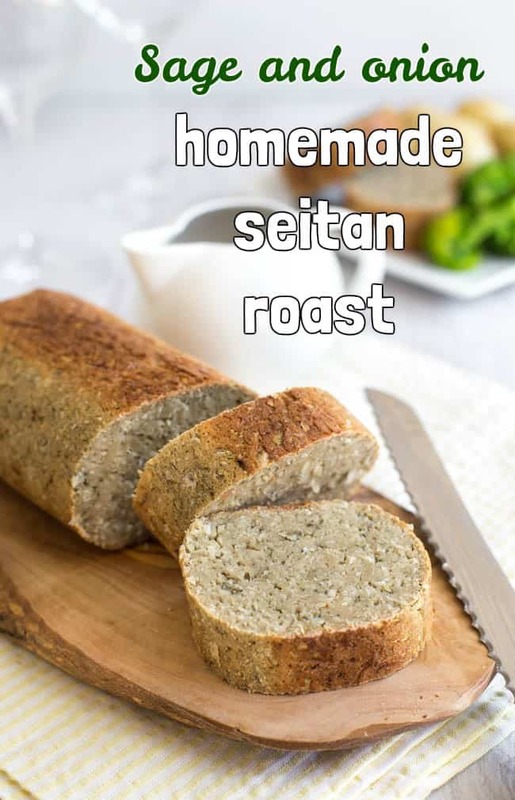 I have never heard of Seitan roast but I’m sure this is in my try list now.. I am a vegetarian and have tried Seiten before. It’s perfect for us. Sage will give amazing flavor too it. Really cool. I am trying to cook more and more vegetarian and vegan dishes. I did not know how to make homemade seitan. Now I do and have a place to find the recipe. Thx for sharing. 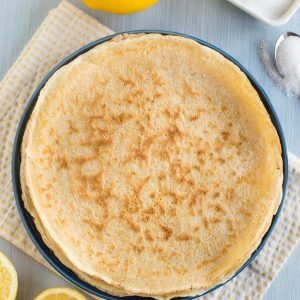 Sadly, this won’t be added to our repertoire (but it does look good), as too many of my husband’s family have coeliac disease, so we have to be a bit careful…. plus, I have no idea where to even start looking for something called “vital wheat gluten”. It is probably one of those things like tofu, that I wouldn’t cook at home but do quite like when I’m out! Blimey, I’d forgotten this stuff even existed, I remember buying it in Planet Organic aeons ago. It’s that long ago I can’t even remember whether I liked it or not but it looks very substantial and I imagine it takes on the flavour of whatever herbs and ingredients you mix with it. I’ve never heard of this before but would really like to try it after reading this! We’re moving to a more plant-based diet so I’m always on the hunt for new ideas. I’d never heard of this before! Saying that I’m the girl who lives of beige food so there’s a lot of things I’m clueless about!! Roasted seitan sound amazing – I bet the Sage and Onion gave it a wonderfully strong taste. Love how creative you have been with this recipe – All credit to you! I have never heard of seitan and I think I am about to go and google it out of curiosity. The roast potatoes look gorgeous. I do love my sunday roast but I’d be willing to try this, it actually sounds really nice! Wow I had never heard of this before. 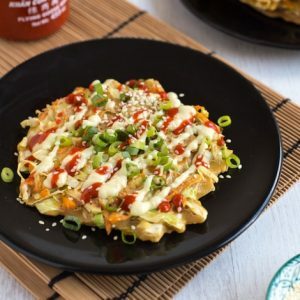 Even though I am not vegan I would love to try it! 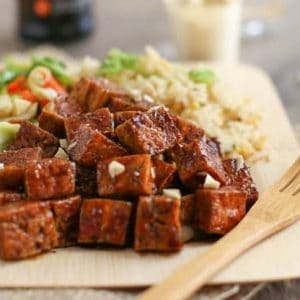 I hsve never ever heard of seitan but really, really want to try it now. This is something I’ve yet to try – I have heard of it though! What a gorgeous looking roast! We just call it gluten here. I’ve made it all my life, usually gluten steaks or a version of mock duck. I’ve recently starting making the gluten roast, and it is good. A takeaway shop near me even sells gluten burgers. 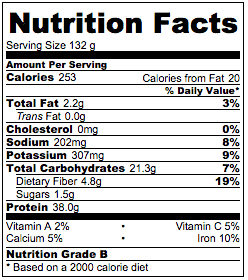 I am loving the nutritional facts. Thanks for sharing. Never heard of that before it’s a very unusual dish. I woudl love to try making this. It definitely sounds good and I think the guys would love it with some potatoes and gravy. With crispy potatoes I think that this would be the perfect Sunday roast, my god I don’t remember the last time I had one to be fair! 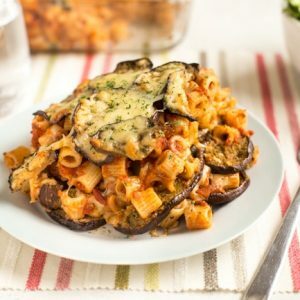 What a great alternative to a roast, useful for when my vegan mate comes over :) Many thanks for the recipe. I’d never heard of this before but it sounds intriguing, love reading about ingredients and recipes I haven’t tried before. I love anything sage and oniony too! I’ve wanted to make seitan for SO long! I have a bag of vital wheat gluten in the cupboard waiting to see action and you have inspired me to give it a go, thank you! This looks so easy! I tried making seitan once….the recipe involved boiling the dough in stock…extremely long-winded altogether and l ended up with rubber into the bargain! I’m sure l used a recipe from Isa as well. I recently threw away my seriously ancient vital wheat gluten (which l bought in Holt in Norfolk, UK) during a long-overdue clear-out …. 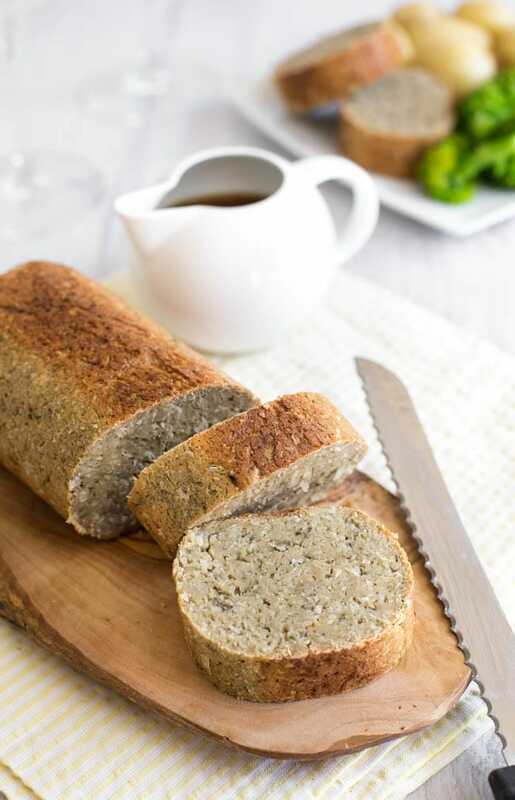 I love seitan – I’ve even made it in my bread machine! I’ve never added beans to it though, so I’ll be giving that a go. Ooh what a great idea to make it in a bread machine! Does that do all the kneading for you? Yep! It doesn’t come out as nice as when you make it yourself but handy if you’re feeling lazy! WOW! THANK YOU! Seriously – caps deservered there. 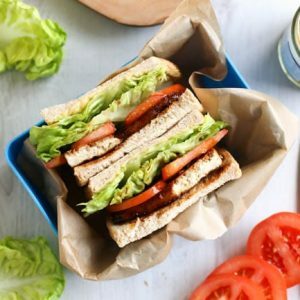 I’ve been wanting to make seitan for ages now, but not been brave enough to try, and also not sure where to get vital wheat gluten from. So a) if I’m gonna give seitan a go, it’s got to be from a blogger I trust, so WIN and b) there’s a handy link for me to UK Amazon! Yay! Thank you! I really hope you like it. I’m definitely going to play around with it more, I really enjoyed it :) Just make sure you knead the dough for a few minutes to make sure it doesn’t end up tough! Let me know how you get on. You’ve sold me with the addition of beans…since we eat so many and have used them in loaves and patties, the combo w the gluten doesn’t seem so exotic (if that makes sense) I’m sure nutritional yeast could add some flavor, too. Nice job, sharing!